After a long and tiring day when your bones are almost giving away, after a deadly fever that has left you like a rag, what could rescue you but a bowl of khichdi! The humble collection of khichdi recipes is perhaps the homeliest dish one can think of. Comforting and satiating, it takes care of your tummy and spirits and is loved and cooked by all in India. Khichdis normally feature rice or other grains in a mushy or mashed form, along with dals, spices and/ or veggies. There are Khichdi recipes aplenty. They can be a soothing comfort food, or a spicy delicacy, depending on how you choose to make it. However, in most cases, Khichdis are very convenient to make as all the ingredients can be quickly pressure-cooked together. 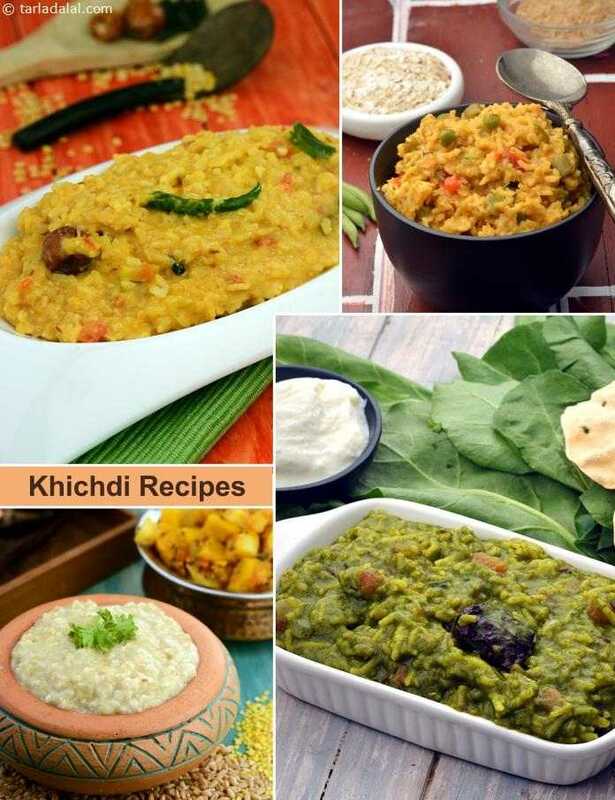 Enjoy options like Dal Khichdi , Fada Ni Khichdi and Handi Khichdi .